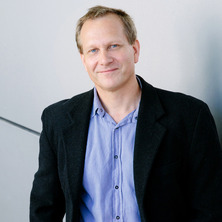 Centre for Solar Biotechnology: Prof Ben Hankamer is the founding director of the Solar Biofuels Consortium (2007) and Centre for Solar Biotechnology (2016) which is focused on developing next generation microalgae systems. These systems are designed to tap into the huge energy resource of the sun (>2300x global energy demand) and capture CO2 to produce a wide-range of products. These include solar fuels (e.g. H2 from water, oil, methane and ethanol), foods (e.g. health foods) and high value products (e.g. vaccines produced in algae). Microalgae systems also support important eco-services such as water purification and CO2 sequestration. The Centre is being launched in 2016/2017 and includes approximately 30 teams with skills ranging from genome sequencing through to demonstration systems optimsation and accompanying techno-economis and life cycle analysis. The Centre teams have worked extensively with industry. Structural Biology: The photosynthetic machinery is the biological interface of microalgae that taps into the huge energy resource of the sun, powers the biosphere and produces the atmospheric oxygen that supports life on Earth. My team uses high resolution single particle analysis and electron tomography to solve the intricate 3D architecture of the photosynthetic machinery to enable structure guided design of high efficiency microalgae cell lines and advanced artificial solar fuel systems. Algae cells have evolved over ~3 billion years of natural selection to yield a diverse array of highly efficient, self-assembling, light-responsive membranes. These act as Nature’s solar interfaces, via which plants tap into the power of the sun. These interfaces contain nano-machinery to drive the photosynthetic light reactions which convert light from the sun into food, fuel and atmospheric oxygen to support life on Earth. This photosynthetic machinery is intricately arranged in 3D and has evolved to adjust dynamically (i.e. 4D: 3D & time) to changing light conditions to achieve optimal efficiency of solar energy conversion. Structural biology, in the form of cryo- electron microscopy, electron tomography, and single particle analysis therefore provide critical insights into this process and will increasingly facilitates structure guided design of new solar fuel systems. Algae tap into the power of the sun (> 2300 x total global energy demand) to produce biomass for CO2 water and nutrients. Consequently microalgae can be used for the following High value foods and pharmaceuticals: To develop algae based systems for the production of foods/nutraceuticals, vaccines, peptide therapeutics, novel antibiotics in algae. Reef protection/Bioremediation: To develop algae based bioremediation technologies (e.g. minimising nutrient runoff to the reef; phytomining). Solar Fuels: To develop economic algae based and bio-inspired solar fuel systems (e.g. solar power H2 from water for fuel cells). The Challenge: The global economy is valued at ~$114 Tn pa and is powered by the $6 Tn energy sector. 80% of global energy is used as fuels (only ~20% as electricity). By 2050, expansion of the human population to > 9 billion people and continued global economic growth, will necessitate 50% more energy (International Energy Agency), 70% more food (UN), 50% more fresh water (OECD) and CO2 emissions cuts of 80% (IPCC) to maintain political, social, fuel and climate security. Microalgae systems sit at the nexus of this challenge. They are rapidly growing microscopic solar driven ‘cell factories’ which can capture sunlight and CO2 and can grow in saline/low grade water to reduce greenhouse gas emission and produce O2, clean water and biomass. Depending on the species and process used, this bimass can yield a wide range of products. At the high value end micoalgae can be used to produce pharmaeutical and health food products such as omega-3 fatty acids and anti-oxidants. As systems and economic efficiencies are improved they can supply much larger commodity markets including renewable fuels as well as bioplastics and ‘green-chemical’ feedstocks. Australia is uniquely positioned to benefit from such work on tackling the challenge of delivering cost-competitive solar fuel systems. It has vast lands, abundant solar irradiation, saline water resources and excellent infrastructure. Our parallel structural biology work is focused on generating detailed molecular blueprints of photosynthetic interfaces, refined over 3 billion years of evolution, and to apply these design principles to the development of high-efficiency algal and bio-inspired artificial solar fuel systems at pilot-scale. This will benefit society by reducing its reliance on fossil fuels, and provide the basis for sustainable, long-term economic development. High resolution cryo-EM and single particle analysis of the Photosystem I-Cytb6f super complex. Hankamer, Ben, Barber, James and Nield, Jon (2005). Structural analysis of the photosystem II core/antenna holocomplex by electron microscopy. In Thomas J. Wydrzynski and Kimiyuki Satoh (Ed. ), Photosystem II : The light-driven water : Plastoquinone oxidoreductase (pp. 403-424) Dordrecht, The Netherlands: Springer. Can photosynthesis enable a global transition from fossil fuels to solar fuels, to mitigate climate change and fuel-supply limitations? Expanding the microalgal industry - continuing controversy or compelling case? Stephens, Evan, Ross, Ian L., Hankamer, Ben, Posten, Clemens and Kruse, Olaf (2009) Microalgal biofuel systems: Climate change, fuel supply and economic opportunities for sustainable development. Microbiology Australia, 30 2: 89-91. The Vps4 C-terminal helix is a critical determinant for assembly and ATPase activity and has elements conserved in other members of the meiotic clade of AAA ATPases. Hankamer B. (2007) Genetic modification boosts algae hydrogen output. Industrial Bioprocessing, 29 12: . Rhee, K. H., Morris, E. P., Zheleva, D., Hankamer, B., Kuhibrandt, W. and Barber, J. (1998) A common ancestor for photosystems I and II. Trends in Plant Science, 3 1: . Rhee, KH, Morris, EP, Zheleva, D, Hankamer, B, Kuhlbrandt, W and Barber, J (1997) Two-dimensional structure of plant photosystem II at 8-angstrom resolution. Nature, 389 6650: 522-526. Foo, Alexander F. -W., Landsberg, Michael J., Battle, Andrew R., Marsh, Brad J., Hankamer, Ben and Martinac, Boris (2011). Mscl Channels as Nanovales for the Controlled Release of Liposome-Encapsulated Compounds. In: Abstracts - 55th Annual Meeting of the Biophysical-Society. 55th Annual Meeting of the Biophysical Society, Baltimore, MD United States, (277-278). 5 - 9 March 2011. Foo, Alexander, Battle, Andrew R., Marsh, Brad J., Hankamer, Ben and Martinac, Boris (2010). Measuring the Release of Fluorescein from MscL-Loaded Liposomes with Stressed Lipid Bilayers. In: Biophysical Journal. , , (327A-327A). .
Electron microscopy of "The green yeast"
Banks, J. E., Pailthorpe, B., Rothnagel, A.R. and Hankamer, B. (2005). Automatic particle picking algorithms for high resolution single particle analysis. In: Brian C Lovell and anthony J Maeder, Proceedings of WDIC2005 APRS Workshop on Digital image computing. Aust Pattern Recognition Society Workshop on Digital Image Computing, Griffith Universty, South Bank Campus, (127-132). 21 February 2005. Banks, J. E., Rothnagel, A.R. and Hankamer, B. (2003). Automatic particle picking of biological molecules imaged by electron microscopy. In: Bailey and donald G, Image and Vision Computing New Zealand (IVCNZ). Image and Vision Computing New Zealand 2003, Massey University, Palmerston North, NZ, (269-274). 26-28 November 2003. Morris, EP, Hankamer, BD and Barber, J (2000). Three-dimensional structure of photosystem II determined by electron crystallography. In: Biophysical Journal. , , (8A-8A). .
Barber, J, Rhee, KH, Morris, E, Hankamer, B, Nield, J, Boekema, E and Kuhlbrandt, W (1998). Towards the elucidation of the structure of photosystem II at high resolution. In: Biophysical Journal. , , (A328-A328). .
Hankamer, B, Morris, EP and Barber, J (1998). Cryoelectron microscopy of photosystem two shows that CP43 and CP47 are located on opposite sides of the D1/D2 reaction center proteins. In: Garab, G, Photosynthesis: Mechanisms and Effects, Vols I-V. XIth International Congress on Photosynthesis - Mechanisms and Effects, Budapest Hungary, (957-960). Aug 17-22, 1998. Catucci, L, Dorner, W, Nield, J, Hankamer, B, Vass, I and Barber, J (1998). Isolation an characterisation of oxygen evolving photosystem II core complexes from spinach in the presence of glycine betaine. In: Garab, G, Photosynthesis: Mechanisms and Effects, Vols I-V. XIth International Congress on Photosynthesis - Mechanisms and Effects, Budapest Hungary, (973-976). Aug 17-22, 1998.
da Fonseca, P, Maghlaoui, K, Hankamer, B, Buchel, C and Barber, J (1998). Purification of oxygen evolving PSII complexes from Synechococcus elongatus for electron crystallography. In: Garab, G, Photosynthesis: Mechanisms and Effects, Vols I-V. XIth International Congress on Photosynthesis - Mechanisms and Effects, Budapest Hungary, (969-972). Aug 17-22, 1998. Nield, J, Orlova, E, Hankamer, B, Dorner, W, Barber, J and van Heel, M (1998). Three-dimensional structure of the spinach photosystem II core complex. In: Benavides, HAC and Yacaman, MJ, Electron Microscopy 1998, Vol 4. 14th International Congress on Electron Microscopy, Cancun Mexico, (619-620). Aug 31-Sep 04, 1998. Boekema, EJ, Nield, J, Hankamer, B and Barber, J (1996). Localization of the oxygen evolving complex of Photosystem II by electron microscopy. In: Progress in Biophysics & Molecular Biology. , , (PE120-PE120). .
Hankamer, B, Morris, E, Zheleva, D and Barber, J (1995). Biochemical characterisation and structural analysis of monomeric and dimeric photosystem II core preparations. In: Mathis, P, Photosynthesis: From Light to Biosphere, Vol III. Xth International Photosynthesis Congress, Montpellier France, (365-368). Aug 20-25, 1995. Nield, J, Hankamer, B, Zheleva, D, Hodges, ML, Boekema, EJ and Barber, J (1995). Biochemical characterisation of LHCII-PSII complexes associated with and lacking the 33kD subunit. In: Mathis, P, Photosynthesis: From Light to Biosphere, Vol III. Xth International Photosynthesis Congress, Montpellier France, (361-364). Aug 20-25, 1995. Zheleva, D, Vacha, F, Hankamer, B, Telfer, A and Barber, J (1995). Determination of the complex homogeneity and pigment stoichiometry of isolated PS II reaction centres. In: Mathis, P, Photosynthesis: From Light to Biosphere, Vol I. Xth International Photosynthesis Congress, Montpellier France, (759-762). Aug 20-25, 1995. Kruse, O, Zheleva, D, Hankamer, B and Barber, J (1995). Investigating the protective role of phosphorylation for PSII complexes. In: Mathis, P, Photosynthesis: From Light to Biosphere, Vol III. Xth International Photosynthesis Congress, Montpellier France, (401-404). Aug 20-25, 1995. Kruip, J, Bald, D, Hankamer, B, Nield, J, Boonstra, AF, Barber, J, Boekema, EJ and Rogner, M (1995). Localization of subunits in PS1, PS2 and in a PS2 light-harvesting-supercomplex. In: Mathis, P, Photosynthesis: From Light to Biosphere, Vol III. Xth International Photosynthesis Congress, Montpellier France, (405-408). Aug 20-25, 1995. Boekema, EJ, Hankamer, B, Nield, J and Barber, J (1995). Photosystem II structure investigated by electron microscopy and single-particle averaging. In: Mathis, P, Photosynthesis: From Light to Biosphere, Vol III. Xth International Photosynthesis Congress, Montpellier France, (229-232). Aug 20-25, 1995. Boekema, EJ, Boonstra, AF, Hankamer, B, Nield, J, Barber, J, Bald, D, Kruip, J and Rogner, M (1994). Photosystem II structure investigated by TEM and A-periodic averaging. In: Jouffrey, B and Colliex, C, Electron Microscopy 1994, Vols 3A and 3B. 13th International Congress on Electron Microscopy, Paris France, (223-224). Jul 17-22, 1994. Ross, I. L., Jacob, G., Stephens, E. and Hankamer, B. (2015). Biofloculation of microalgal populations. 2015902422. Oey, M., Ross, I. L. and Hankamer, B. (2013). Microorganism mutants and method of use. AU2013900645. Hankamer, B. and Bond, J. (2007). Labortemperiereinrichtung mit oberseite. WO2007031158 A1. Hankamer, B. and Kruse, O. (2005). Photosynthetic hydrogen production. WO/2005/003024. High- throughput Fourier Transform Infrared (FTIR) spectrometer. Biotechnological development of microalgae for industrial applications. Development of a high-throughput process to optimize cyanobacterial nitrogen-fixers for sustainable biogenic fertilizer applications. Photosynthesis of microalgae in outdoor mass cultures and modelling its effects on biomass productivity for fuels, feeds and chemicals.